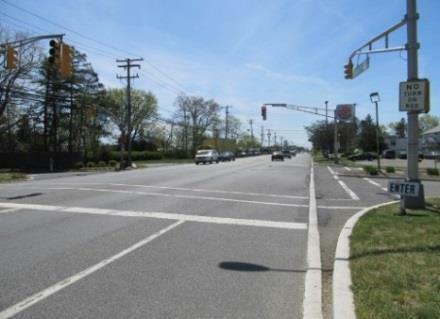 AEA provided a conceptual development design for the resurfacing of a six mile urban arterial in Ocean County, NJ. In addition to extending the life of the roadway, the resurfacing will correct existing geometric and safety deficiencies. AEA prepared alternatives for additional curb/sidewalk and signalized intersection improvements to comply with ADA regulations and connect existing sidewalks/bike paths, and evaluated high crash areas for corrective measures. Roadway profiles and ponding areas will be improved, and existing stormwater inlets will be replaced with bicycle safe inlets. Signalized intersections will be upgraded to have ADA compliant ramps and push buttons.